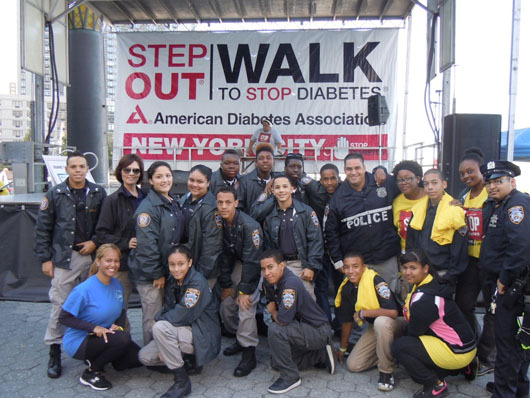 On Saturday September 28th the Transit District 2 and Transit District 4 Explorers took part in the Step Out Diabetes Walk, organized by the American Diabetes Association. The walk, to help raise money to find a cure for Diabetes, commenced in Battery Park City and was packed; there were numerous participants. The Transit Explorers were on hand and volunteered to help with the event; a great group of young citizens.